From the large car park in Linthal, it’s a seven-minute ride on the funicular up to the car-free village of Braunwald at an altitude of 1,256 metres. The Bartli Dwarf Trail with its dwarf caves, dwarf castle and many other sights is an adventure for old and young. An alternative route is also suitable for pushchairs. 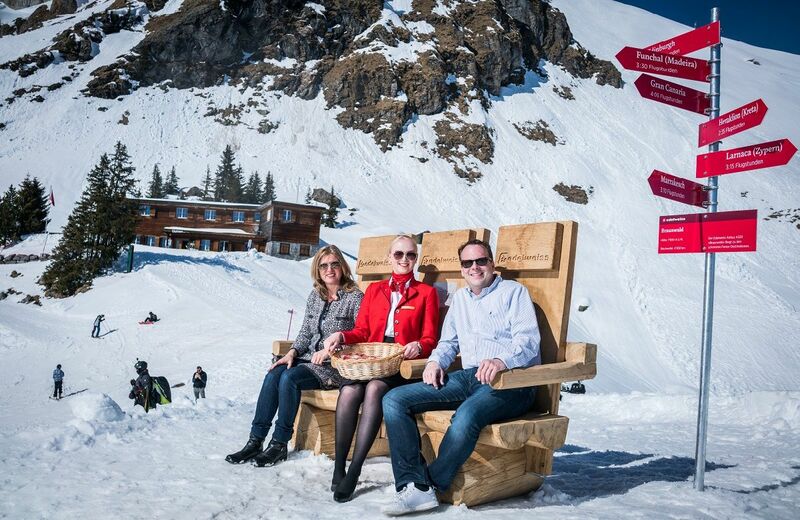 The Edelweiss bench can be reached easily from Braunwald via the Gumenbahn and a short walk. There are breathtaking views not only down into the valley, but also to the Glarner Alps, including the Tödi, the symbol of the Glarner region. The via ferrata (fixed-rope climbing routes) around Braunwald offer a number of options for beginners and experienced climbers. Climbing equipment can be rented at Berggasthaus Gumen. A highlight for old and young: a night in the Märchenhotel with its numerous animals, an outdoor pool with breathtaking views and a hotel manager who is himself a teller of fairytales. Catering to each family member’s wish and whim can make family outings very stressful. 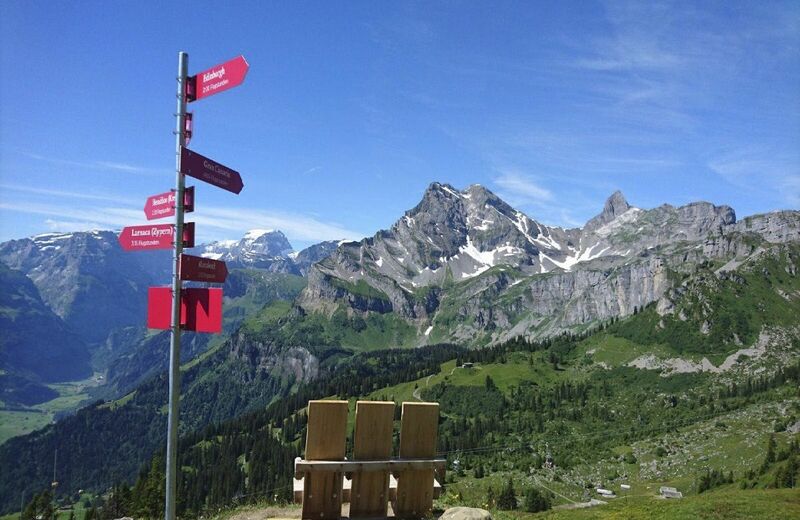 Those who choose to avoid the stress will visit Braunwald. 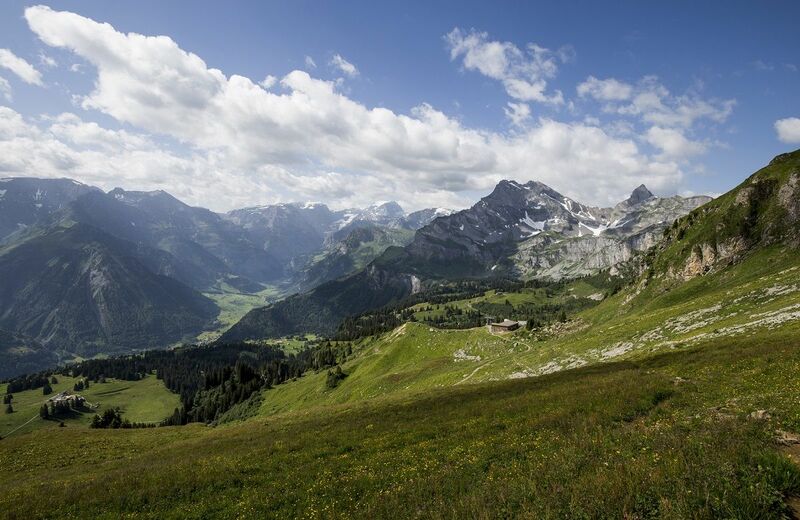 Whether hiking, mountaineering, walking or animal watching: Braunwald has it all at lofty heights. “Once upon a time …“ is how many stories begin here. Because the delightful little village of Braunwald in the canton of Glarus is steeped in myths and legends. The best-known tale is about Dwarf Bartli who, each summer, wakes from hibernation and presents himself to a few fortunate hikers. But that story is best enjoyed during a visit to the Fairy-Tale Hotel Bellevue, or when hiking along Dwarf Bartli’s Adventure Trail. Braunwald also has an animal trail, where domestic animals can be petted and photographed at six different locations. Those who manage to take pictures of all of the animals have the chance to win an attractive prize. At 1,300 to 1,900 m above sea level, there is plenty more to do and discover in Braunwald. In particular, sports fans won’t feel short-changed in this car-free village. Guests who visit in winter can ski, snowboard and sledge to their heart’s content. 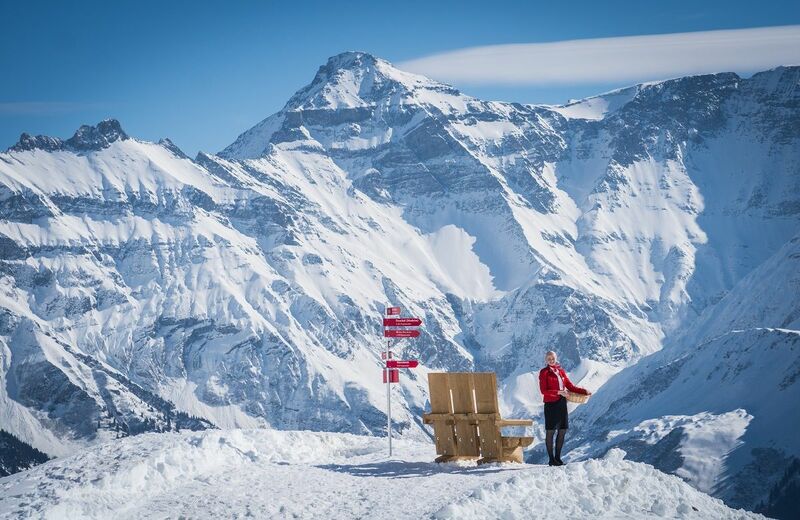 32 km of prepared ski runs offer a snow paradise that caters to all levels of difficulty. A practice slope is available for young children where they will feel safe and at ease. For the more adventurous, there are freeride opportunities in the Bächital Valley. As the days get warmer, horse-drawn carriages, paragliders and climbing harnesses begin to resurface in Braunwald. The spectrum of sporting opportunities is broad and an invitation to work up “a bit of a sweat” in the glorious sunshine. Relief from the heat is available thereafter, in the form of a dip in Lake Oberblegisee. Those seeking peace and quiet will also find plenty to enjoy. 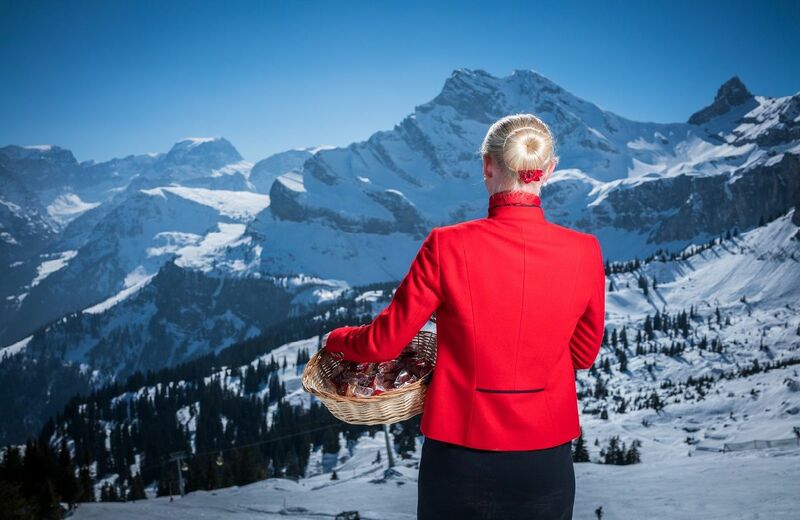 Whether the desire is for an adrenaline rush or pure relaxation - the richly diverse nature surrounding Braunwald has something for all tastes and interests.